A few posts ago, when we studied heavy machine guns, it was mentioned that one of the features of some of these machine guns is a jacket filled with water, which surrounds the barrel and helps to prevent it from overheating. Of course, if several rounds were to be fired rapidly, the intense heat of the barrel would cause the water to turn into steam and evaporate, thereby reducing the cooling effectiveness of the jacket. In the early Maxim heavy machine guns, the users would simply unscrew a cap on the top of the water jacket and refill it with more water, whenever the water level in the jacket got low. A Maxim machine gun. Click on the image to enlarge. However, this presented a logistical problem to its users because then they needed to position the heavy machine gun next to a supply of water and this was not always possible in the battlefield. Resourceful users found that they could urinate into the water jacket in an emergency, but it is not possible to do that on demand, therefore it is preferable that a reliable supply of water be nearby. Another problem was that the steam rising from the barrel could also give away the position of the machine gun. This was a problem in trenches and rough terrain, since heavy machine guns cannot be moved as quickly by troops without a vehicle. Another issue was that if the steam was not allowed to escape out of the water jacket, the steam pressure inside could build up to the point of rupturing the jacket. To counter these issues, newer models of heavy machine guns at the end of World War I were issued with steam chests. 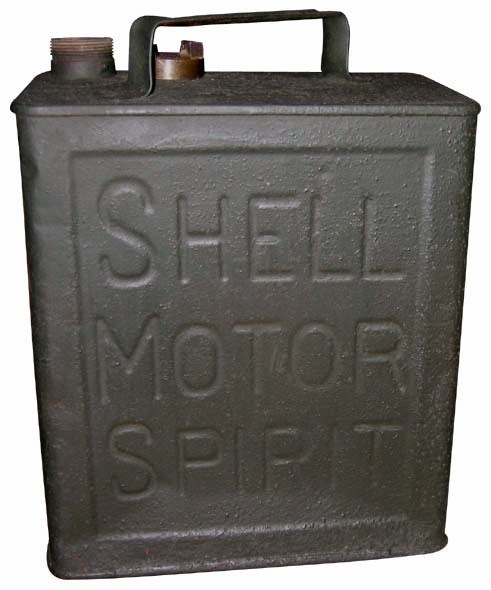 A steam chest, or more properly, a steam condensing chest, is simply a container that is placed below the barrel and is connected to the water jacket via a short pipe (or pipes). When steam is created by the hot barrel, instead of allowing the steam to escape out of the water jacket, it is transported through the pipe into the steam chest, where it condenses back into water. Periodically, this water is poured back into the water jacket for reuse. This system allows users to conserve their water supply for much longer and also prevents steam from rising and revealing their position to enemies. 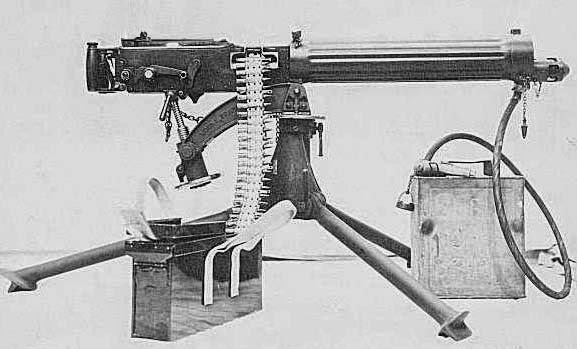 A Browing M1917A1 machine gun. Note the steam chest attached to the front of the water jacket. In the above image, we see a Browning M1917A1 machine gun. The steam condensing chest is the rectangular can at the front with the rubber hose coming out of it. The steam coming out of the water jacket flows through the rubber tube (which has some water in it as well) and into the rectangular can, where it cools down enough to become water again. Periodically, the crew lifts the can above the height of the water jacket, which causes the water in the can to flow back through the tube into the water jacket. A British Vickers machine gun with its condensing chest. Click on the image to enlarge. Public domain image. A can of Shell gasoline! Public domain image. Click on the image to enlarge. Yes, that is a can originally meant to hold gasoline (or petrol, for non-American readers), made by Shell, the well known oil company. These cans were issued to British troops as standard equipment with Vickers machine guns, to be used as steam chests! In more advanced models, the steam chest was equipped with a manual pump, which allowed the users to pump the water back into the water jacket without moving the steam chest. 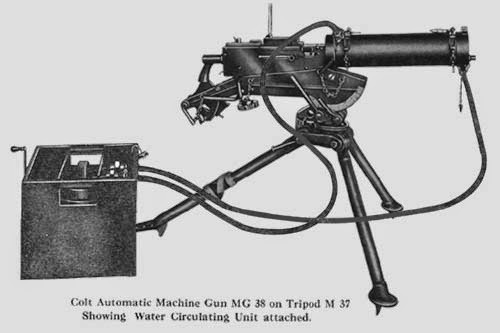 A Colt MG 38 machine gun. Click on the image to enlarge. In the above image, we see a Colt MG 38 machine gun with its steam chest positioned at the left of the image. Note that there are two pipes coming out of the water jacket into the steam chest. The pipe on the right of the picture transports the steam out of the water jacket into the steam chest and the other pipe sends water back from the chest into the water jacket. Also note that the steam chest has a handle to the left of it. The user turns this handle, which operates the manual pump inside the steam chest and sends water back into the water jacket. With this design, the user does not need to lift the can to pour the water back. It must be noted that steam chest systems aren't air-tight, so a little steam does always escape out. However, they allow their crews to re-use their water for a lot longer. 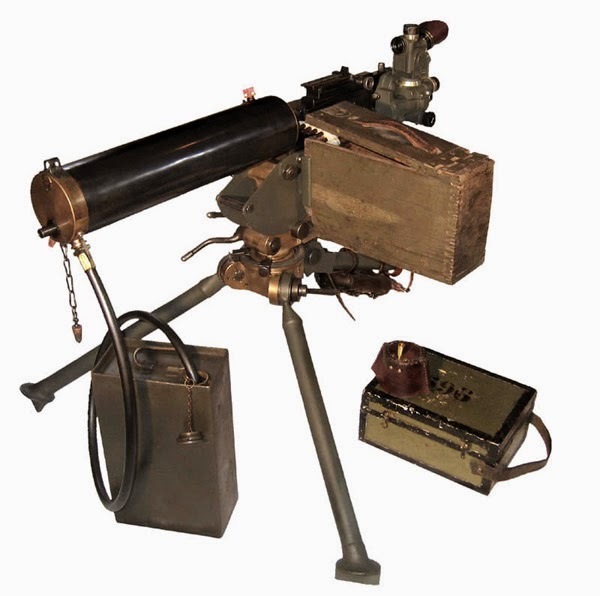 Steam chests were supplied with most heavy machine gun models made in between World Wars I and II. As water-cooled heavy machine guns began to be phased out of military inventories and replaced with air-cooled models, the need for steam chests went away as well. With the invention of improved metallurgical techniques for making barrels last longer at higher temperatures, as well as the development of quick-change barrels, the extra weight of the water jacket, water and the steam chest were simply not worth the trouble for most users. That is why no modern machine guns use steam chests any more.